What is making these circular holes in the Black-Eyed Susan Vine? Slugs can’t get up that high and birds wouldn’t cut circles. 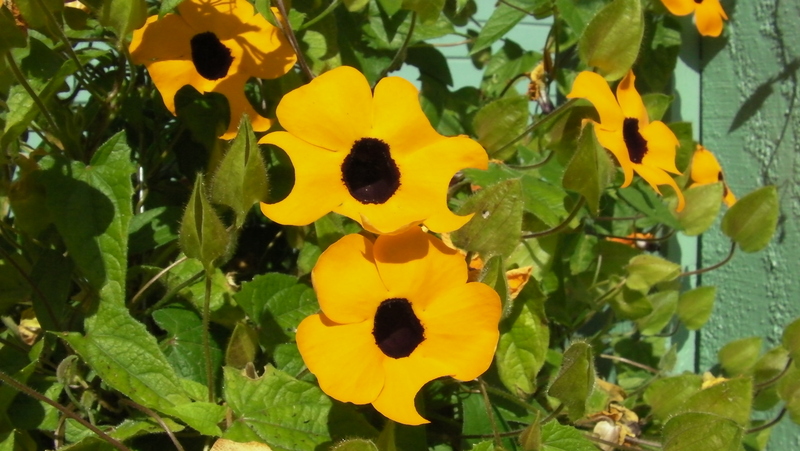 Last year my wife noticed circular holes in her Thunbergia’s petals. She couldn’t figure out what could have made the holes. We soon found out after spotting a bee carrying a leaf. It flew into a hole in the side of the shop. 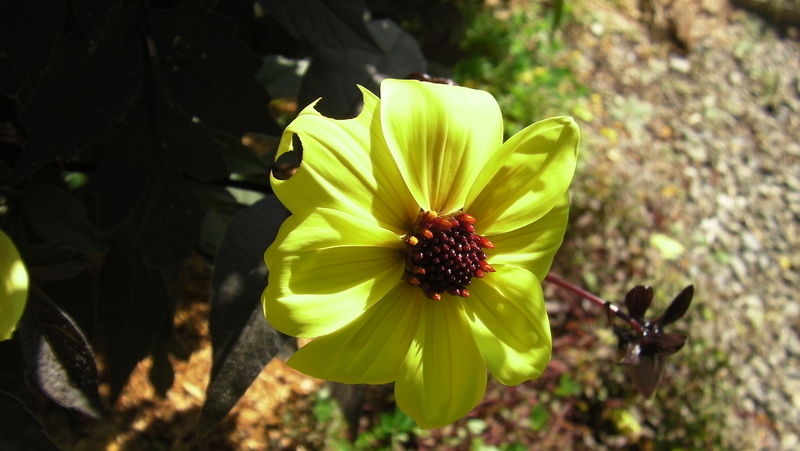 As I was looking for more evidence to photograph, a leaf cutting bee landed on this Dahlia plant and cut a segment out. She was fast. It took about 10 seconds to cut the petal and fly away. I was able to point the camera and shoot away. It wasn’t until the next day that I was able to catch the bees flying into a hole in the newly replaced shop wall, between two spider webs. Both spiders failed to trap her…this time. This is our first year with leaf cutter bees, successfully I think. 11 of the 12 circular tubes are sealed. It’s early August in Wisconsin and I want to make sure I winter the tubes correctly. What are the correct steps to winter the bees? We have enjoyed watching these bees and want them back next year. My garden exploded this year and I’m giving the bees all the credit. I had peas like never before and they are still blossoming.